I love it when a brand “does it right” the first time. Fiat is re-inventing my dream car, website, and marketing campaign! Firstly, the car was cultural significant car and put Italy on wheels in the 1950’s. By learning from their past – using it’s classic frame – and – responding to the future – using Bosch Start & Stop Technology Fiat is appealing to a new audience. Originally the Fiat was a popular city car due to its size (2.2 inches narrower and 3.2 inches higher than the Mini Cooper ). Today – the Start & Stop technology reinforces its present city style by the reduce urban fuel consumption: 41 mpg (U.S.) and it’s retro design. 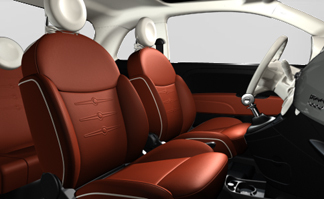 Fiat credits the exterior design to Roberto Giolito, an Italian working at its Centro Stile studio, but word on the inside has it that former Fiat design boss Frank Stephenson was the driving force behind the car’s retro lines. 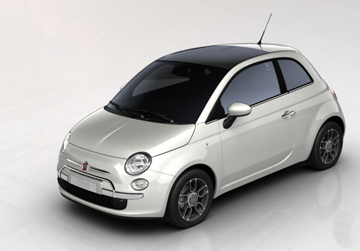 The Fiat 500 website is everything cultural to factual. 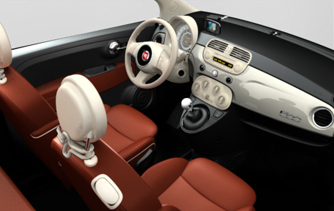 You can customize your own car (mine is shown above) and watch it drive around a track, watch video’s from other Fiat drivers, create a sound track, and order a car. That’s totally true – especially in the automobile industry!